Orthodes majuscula - Hodges #10585 (Rustic Quaker). Size: approx. 20-25 mm. Photo: 06/10/12, 9 pm. 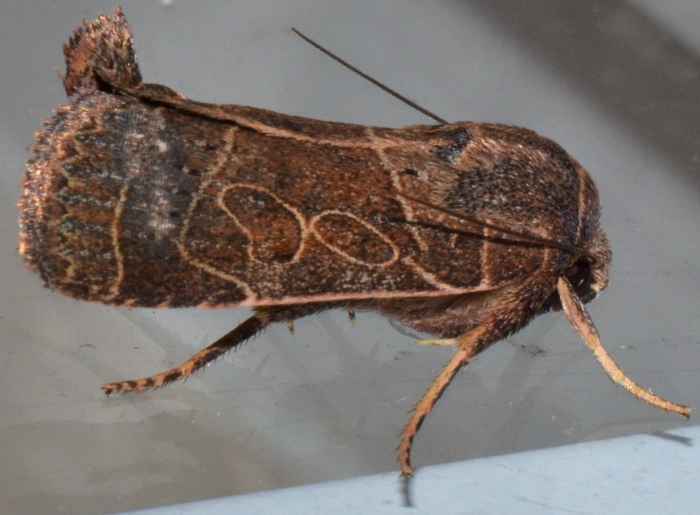 Orthodes majuscula or Rustic Quaker is a brownish moth with intricate, yellowish line patterns on its wings. The genus has seven known species in North America. The larvae of the Rustic Quaker feed on a variety of plants such as dandelion and grasses. 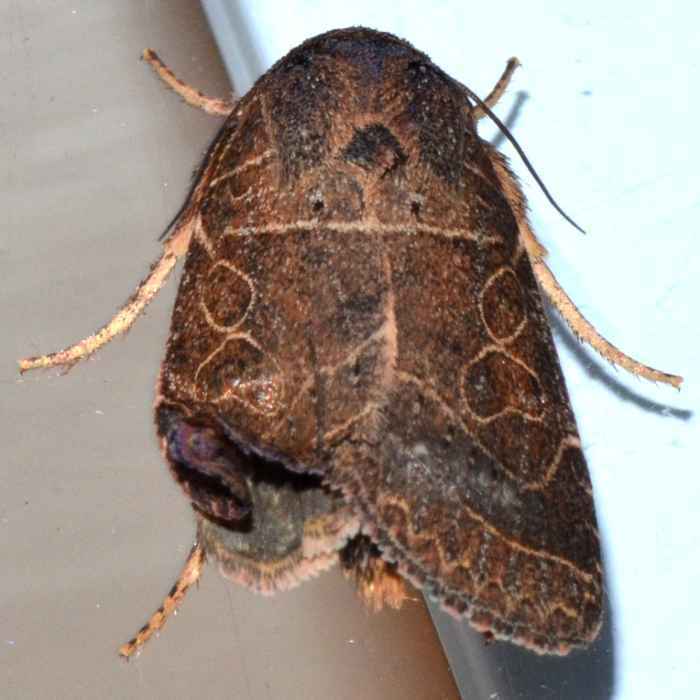 This specimen was badly injured (see smaller photo below).